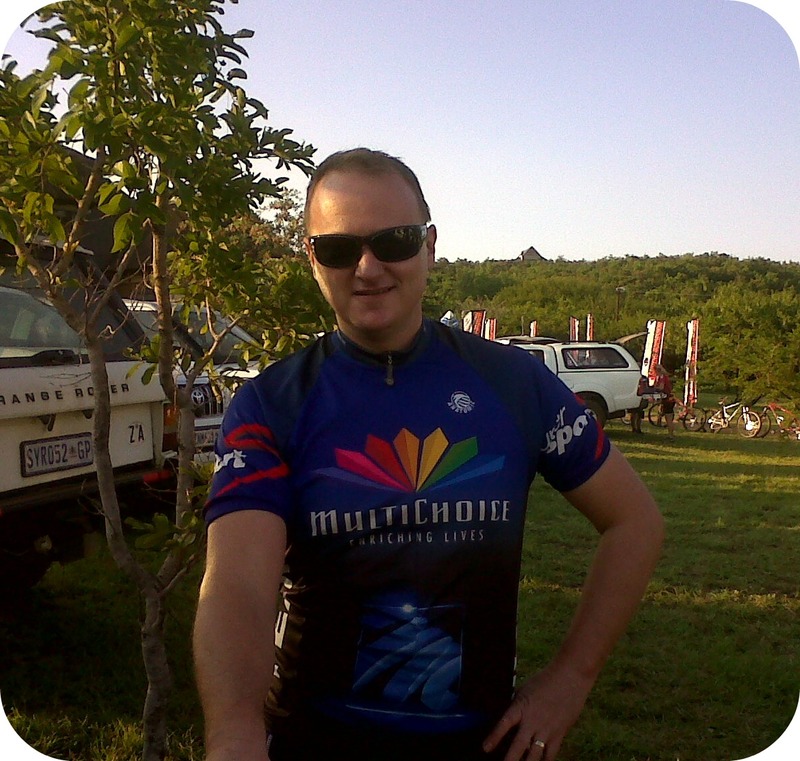 At 04:30 on Saturday the 12th of Feb 2011 the alarm buzzed and I sprang into action ready for my next challenge - the 67km Mitsubishi Valentines MTB Dirt Ride. 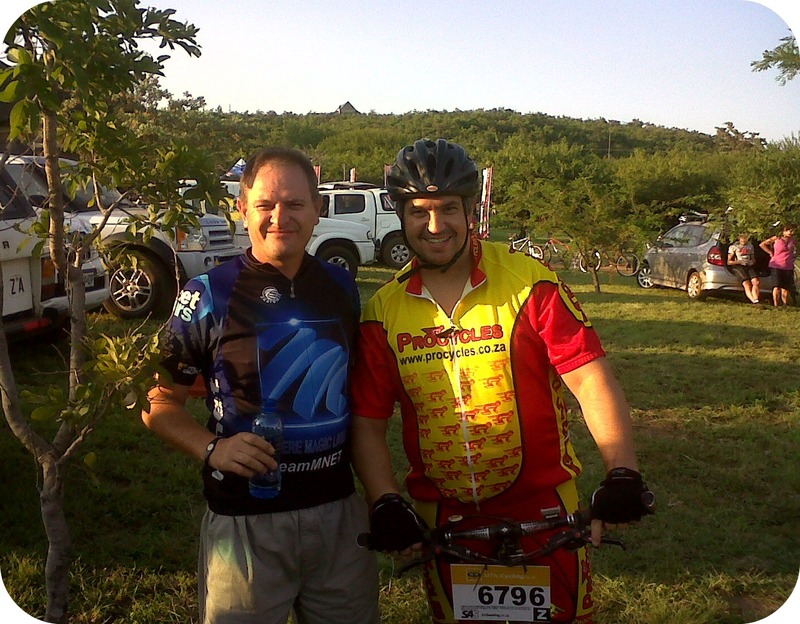 Greg and me were joined by Gerry to experience this race in a game reserve outside Pretoria. ﻿We met at my place at 05:00 and Gerry followed Greg and me to the Blue Moonlight Lodge 30 clicks outside of Pretoria. 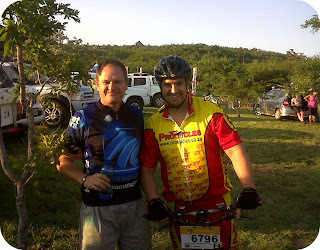 Greg and me were doing the 67km (our longest MTB race yet) and Gerry the 30km. The race itself was pretty neat, not too hilly, plenty of jeep track with a sprinkle of mud and water thrown in. 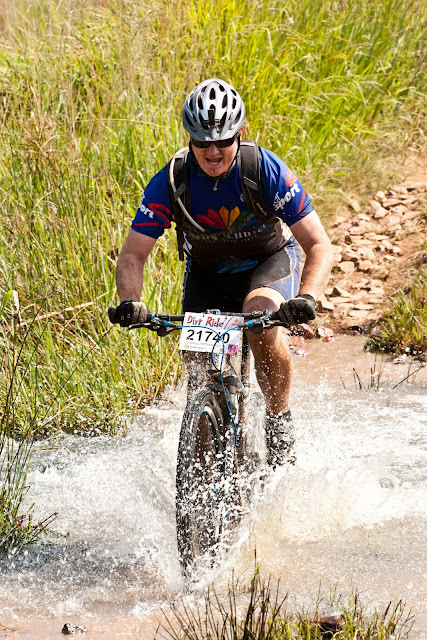 I had a few falls - once after hitting a hole in a water crossing (complete dunk and messing up yet another BlackBerry) and other times after tredging through muddy patches and not being able to uncleat in time. There was a nasty little hill right at the end (about 150m in altitude) that punished the legs (I was fortunate to see the profile n the Hub before the race and was prepared for it). 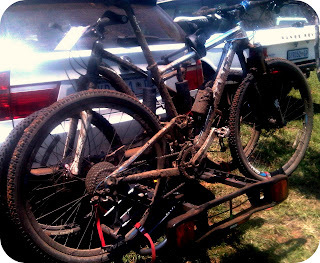 ﻿﻿﻿﻿ Greg kicked my arse again and was relaxing in a camping chair under a tree when I trundled in (#competitive).